Prezentare The "Yellowstone Coloring Book" is not just your typical coloring book - it's a 2.2 million acre adventure Kids will grab their crayons and journey through Wyoming, Idaho and Montana - encountering geysers, wolves (and grizzlies ) along the way. Will Old Faithful erupt? Which way to the Continental Divide? 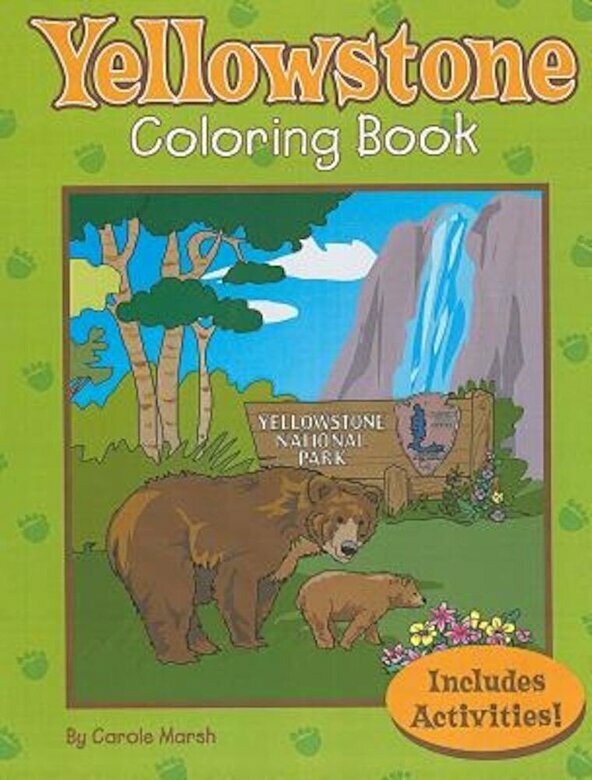 Coloring, educational facts and trivia will provide hours of fun for boys and girls - perfect for home, car or tent The Yellowstone Coloring Book is 24-page reproducible and educational coloring and activity book. This book includes history of Yellowstone National Park, the many animals and natural wonders kids will see in the park and more. Some of the activities include a word search, a maze, matching, and connect the dots and more.